Are Indiana’s highways safer because the speed limit for semi-trucks is lower than for cars? That’s a good question! Certainly, the motivation behind the lower speed limit for trucks is safety. Indiana and the six other states—California, Idaho, Michigan, Montana, Oregon, and Washington—that currently have a speed limit of at least 5 miles per hour less for semi-trucks believe that slower trucks result in safer highways. However, there are concerns about the logic behind this belief. We take a look at the question here. 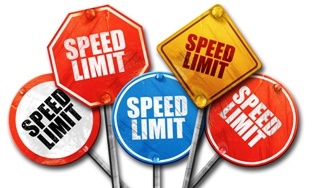 After the repeal of the national maximum speed limit in 1995, states were free to set their own speed limits. At the time, several states took the opportunity to raise the limit for cars but not for trucks. The thinking was that trucks are more dangerous at higher speeds because they are more difficult to maneuver and need more distance to stop. As speed limits for cars continue to increase—going as high as 80 or 85 mph in some areas—supporters of truck speed limits believe that trucks should never be allowed to travel at those speeds. While it is true that speed plays a part in a large number of highway crashes, there is concern that the difference in speed between cars and semi-trucks poses more problems than it solves. Proponents of a uniform speed limit for cars and trucks argue that it is the difference in the speed of travel that creates dangerous conditions, not the speed of the truck. For example, if trucks are driving at lower speeds, cars wishing to drive the speed limit will need to pass every time they approach a truck. Because drivers often pass carelessly, this creates a hazard that would not exist if the two vehicles were traveling at the same speed. Another argument in support of a higher speed limit for trucks is that it would reduce the number of hours a trucker must drive to get to his destination, thus decreasing the risk of driver fatigue and, ultimately, decreasing the number of trucks on the road. Whether Indiana ever votes to repeal the differential speed limit or not, truck drivers will continue to be responsible for their own actions when they cause a highway collision. If a truck driver is exceeding the 65 mph limit and causes a crash, he should be held liable. If the speed limit for trucks is increased and a trucker fails to stop in time to avoid an accident or loses control of his truck due to speed, he is also liable for the damage he causes. If you were in a crash with a commercial semi-truck in Indiana that was not your fault, contact Keller & Keller at one of our Indiana offices. We protect the rights of truck accident victims in Indiana. Will mandatory electronic logging devices on commercial trucks and buses save lives in Indiana? While the truck and bus industry has had years to prepare for the change, complying with the mandatory use of electronic logging devices this December will still be a major change for many truckers and bus drivers. It may seem like this has nothing to do with you—the average passenger car driver—but, in fact, the law was passed with you in mind. As a more reliable way to enforce truck and bus driver hours of service rules, it should remove more fatigued truckers from the road, protecting you and your family from a potentially fatal run-in with a truck. In other words, every large commercial truck or passenger vehicle is subject to these limits on the number of hours they can be driven. Drivers may not drive for more than 11 hours after 10 consecutive hours off duty. Drivers may not drive beyond the 14th consecutive hour after coming on duty, following 10 consecutive hours off duty. Off-duty time does not extend the 14-hour period. Drivers may drive only if 8 hours or less have passed since the end of driver’s last off-duty or sleeper berth period of at least 30 minutes. Drivers may not drive after 60/70 hours on duty in 7/8 consecutive days. A driver may restart a 7/8 consecutive day period after taking 34 or more consecutive hours off duty. Drivers may not drive for more than 10 hours after 8 consecutive hours off duty. Drivers may not drive after having been on duty for 15 hours, following 8 consecutive hours off duty. Off-duty time is not included in the 15-hour period. While these rules may seem complicated to a non-commercial driver, you can be sure that every commercial driver understands what they mean for their driving. When they choose to ignore the rule—whether they are under pressure from an employer or not—they put you and your family at risk. Drivers are required to keep a log book of their on-duty and off-duty hours. They are subject to having their log books inspected by authorities for violations of these rules. However, paper log books are easily faked, leading to far too many fatigued commercial drivers on the road. Electronic logging devices (ELD) are installed in the vehicle and automatically record driving time by monitoring engine hours, vehicle movement, miles driven, and location information. ELDs are expected to strengthen compliance with HOS regulations. 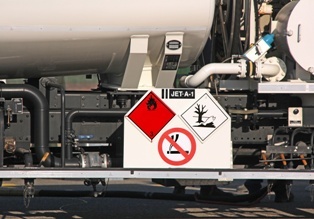 FMCSA estimates the devices will save at least 26 lives and prevent 562 injuries each year. While many trucking companies are already using ELDs in their trucks because they make life easier for the driver, not every company has been on board. Beginning on December 18 of 2017, however, every commercial vehicle that is subject to the HOS regulations will be required to install ELDs in all of their vehicles. Not only will these devices save drivers and their employers from mountains of paperwork, they will also save lives. 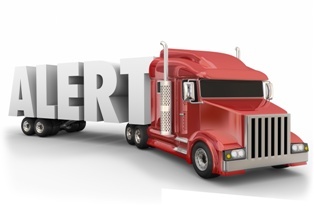 Even with ELDs, it is possible for drivers to violate HOS regulations and cause an accident. If you are injured in a collision with a big truck, leave it to the truck accident attorneys and Keller & Keller to investigate and find the cause of the crash. If the truck driver was negligent, we will prove it and make sure you get the compensation you need to recover from your injuries. Call us today with your Indiana truck accident questions. Why should I hire an attorney if I've been involved in an accident involving a semi-truck? If you are unlucky enough to be injured in a crash with a semi-truck, you will most likely hear from the trucking company’s insurance company and attorneys very quickly. It is important that you know what your rights and entitlements are as the victim. Without your own attorney at your side, the odds are that you will be taken advantage of and will not receive the full settlement to which you are entitled. Traditionally, semi-truck accidents have been deemed the most complicated and aggressively defended cases because of the parties involved, as well as the commercial policy aspect related to these accidents. Most trucking companies are highly skilled at truck accident investigation and claims. Therefore, having knowledgeable and experienced legal representation is extremely important to ensure the proper parties are involved and sufficient negligence is established. By retaining an attorney early in your semi-truck accident case, you will increase the ability to retain valuable evidence that will prove highly beneficial to your case. As experienced Indiana truck crash attorneys, we know how to protect your claim from the tactics of big trucking companies. We will gather the evidence you need to prove the trucker was at fault and help you through the process of negotiating a fair settlement for your injuries. Contact us today to talk to an attorney about your case. 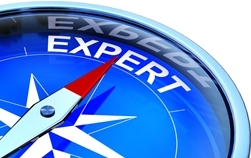 Why are expert witnesses important to prove fault in a truck accident case? An experienced truck accident attorney knows what to look for in the aftermath of a truck crash and may even be able to gather enough evidence to prove truck driver liability. However, an attorney investigation should not take the place of hiring expert witnesses to review the case and testify on behalf of the victim. Every trucking case should have experts to assist an investigation and to analyze the information for potential testimony on liability. It is also important to employ experts in order to establish that safety inspections and driving logs were properly kept. Truck accident experts will know how to obtain key pieces of evidence, including inspection reports, maintenance records, the truck’s black box, driving logs, cargo manifests, and more. If your attorney does not utilize experts in truck accident cases, you may want to find a new attorney. The law offices of Keller and Keller will work closely with the proper resources to ensure that your accident is investigated fully and in a thorough manner. If you are struggling after a truck crash in Indiana, call our offices at 800-253-5537 today. How Are Truck Accidents Different Than Other Car Accidents? Commercial semi-trucks are a common sight on Indiana roads. Nationally, the trucking industry moves 58 percent of all goods shipped throughout the country, making them the largest carrier of goods. While numerous trucks indicate a strong economy, unfortunately, these trucks can also present dangers to drivers of passenger vehicles. Crashes with commercial semi-trucks can be devastating, causing massive highway pileups and catastrophic injuries. When you find yourself the victim of a truck crash, you may be forced to sue the responsible party to cover your medical bills, pain and suffering, and property damages. It’s important to look at more than just the driver for liability, however. The list of parties who could possibly owe the victim damages is long and complicated. The attorneys at Keller & Keller will know who to look at when you are involved in a crash with a commercial truck. Call us today to learn more. A typical fully-loaded large commercial truck can weigh 80,000 pounds or more, while an average passenger automobile weighs approximately 3,000 pounds. Due to this size disparity, and the basic laws of physics, any collision between a commercial truck and another vehicle is likely to result in serious, even fatal injuries. If you suffered serious injuries in a collision with a commercial truck, contact our experienced truck accident attorneys in Indiana. Call (800) 253-5337. A commercial truck is a vehicle used in the course of business and/or for the transport of commercial goods. Examples of a commercial truck include eighteen-wheeler tractor trailers, tanker trucks, delivery vehicles, and other large freight trucks. If you are involved in a crash with a truck, it is important to know whether it is considered a commercial vehicle, as that will complicate any legal action. Crashes with commercial vehicles often involve federal regulations, trucking companies, drivers, cargo loaders, and more. If you are involved in an accident with a commercial truck in Indiana, call any one of our offices throughout Indiana. We understand the complications involved in a commercial truck accident and we will walk you through your case step by step. What are some specific examples of the variables found in a semi-truck accident? A crash with a commercial tractor-trailer in Indiana can become a very complicated claim for damages. This is because truck cases involved many more variables than a more straightforward car accident case. While a car accident claim is usually just between two drivers and their insurance companies, a truck claim involves the driver, the trucking company, maintenance records for the vehicle, those who loaded cargo, state and federal regulations, and more. There are usually at least two insurance policies covering the accident. An accident with one tractor-trailer could bring in multiple defendants and therefore multiple liability insurance policies. A truck driver has a higher standard of care than most. 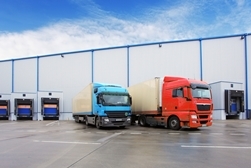 Truck drivers must adhere to federal hours-of-service rules. There is automatic liability for some accidents under the Federal Motor Carrier Safety Regulations. Negligent hiring may impose punitive damages on an employer. Employers must continually review their drivers’ health records and records of traffic violations as well as conduct random drug testing. The deliberate use of unsafe equipment may substantially increase your award. There are specific rules on how to load a truck so its contents will not fall off. A truck has only 10 minutes to set out emergency signals after it becomes disabled. In order to launch a successful claim, you need a truck accident attorney who will follow up on all of these variables in order to identify all possible sources of compensation. Our truck crash attorneys have experience with Indiana truck crashes and make sure no stone is left unturned. Warning for Semi-Truck and Bus Drivers: Texting Is Illegal!